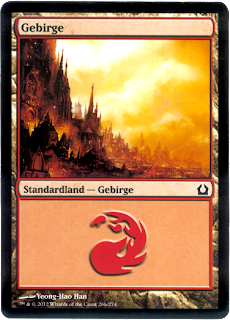 My second altering idea was just as simple as my first, just a little bit more advanced in the color department, now featuring orange and brown! 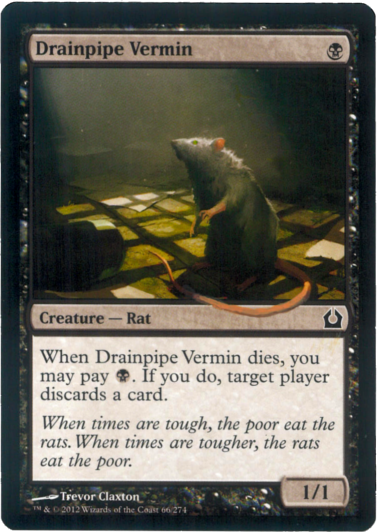 I just wanted some unimportant common card to do some small and easy work on to not feel overwhelmed, and I figured this conditional discard outlet Drainpipe Vermin fitted. At first I wondered if I could work out how to recreate the colors of the tail: there seem to be a kind of orange and a more purplish shade - this has to be a blend of...yellow, red and white? 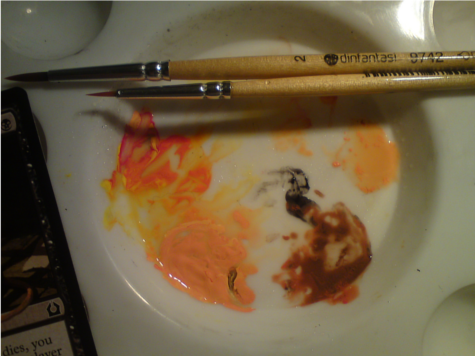 Add in some black for the darker shade, and eventually the colors matched! Yeah! MOTIVATION! In hindsight I see that I failed to understand the shadow cast by the rat on it's on tail. The tail should be darker in front of the rat, because of the rat's shade. Light sources are still a pretty uncharted territory for me. Another change resulting from toxic chemicals leaking into the drainpipes can be seen in the vermin's eye color. It is now yellow. 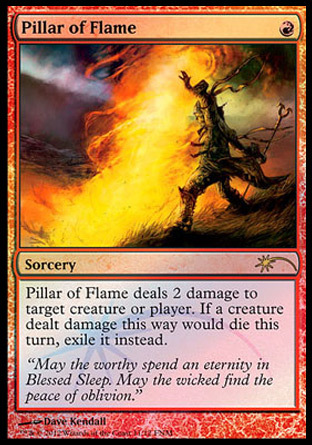 Kortet heldige vinnere og randoms får/har fått utdelt på FNM i november er sorceryet Pillar of flame. Med undying, scavenge og flashback har dette kortet, opprinnelig fra Avacyn Restored, blitt mye brukt i Standard constructed. Den lille setningen som sier "exile" istedetfor å sende kreket i graveyarden er hovedårsaken til at en treig Shock (2 damage-burn for R) har så stor nytteverdi. Yes, it sure looks like a pillar of flame. 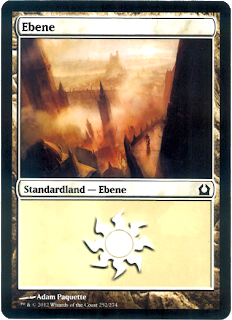 Moreso than the smoke tornado far in the distance summoned by some biblical figure in the original AVR art. I just wanted to add that a sideaffect by selecting this as a promo is teaching new players that exiling is better than simply killing. 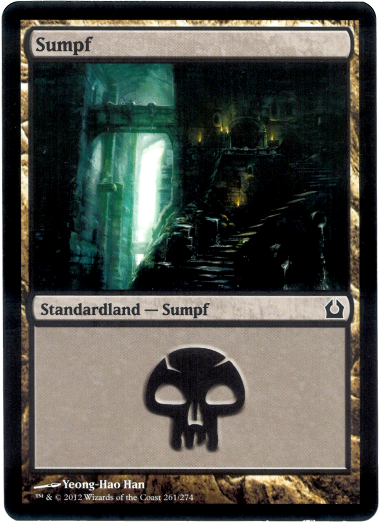 I sure started to add it to my sideboard after meeting reanimating zombie decks online where killing would only make them stronger! 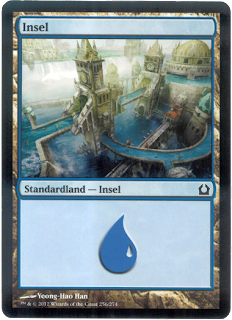 When noobs get hold of this card, they will want to try it. 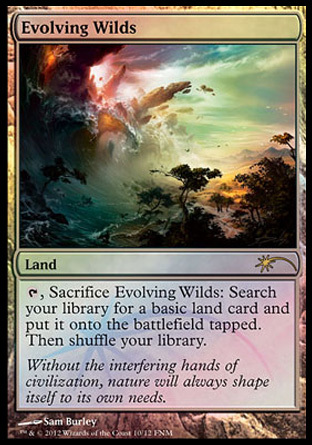 That will make the undying/zombie decks prevalent in standard harder to play, and also learn how to deal with the new scavenge keyword from Return to Ravnica. My local drafting group sometimes bring in foreign boxes and packs for drafting. Magic is, after all, translted into eight different languages! 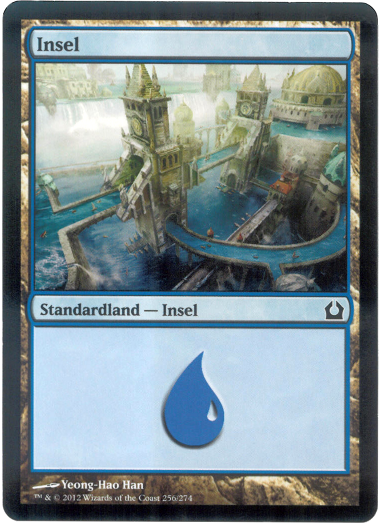 Earlier this fall we drafted with Russian packs, after a couple of members had participated in tournament in Mosocw, and that sure was a confusing experience! You realize that even if you know every card by heart and picture, you still depend heavily on the text, especially when evaluting cards. At least it worked that way for me. It's similar to how musicians depend on the music sheets they always keep in front of them. 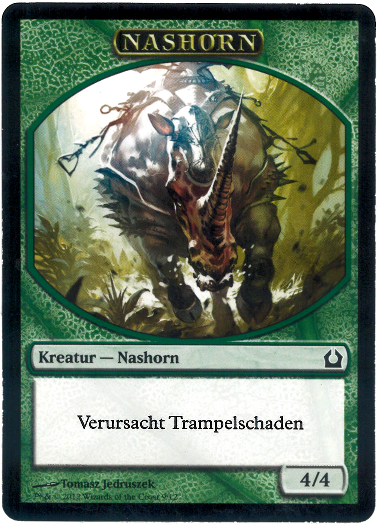 This rhino token, "Nashorn", would be "Neshorn" in my language Norwegian (another germanic language). Kreatur is Creature, and Those Long Words Verursacht Trampelschaden means "Causes trample damage"
This time there were german packs in the mix! 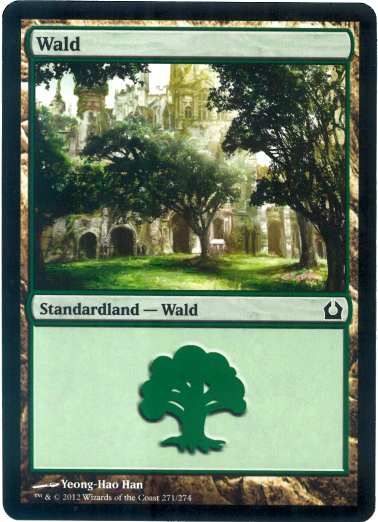 I picked some basic lands, or "Standardlanden" as is their name in German. 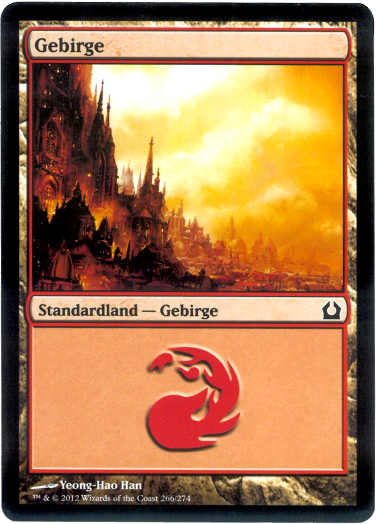 I was so fascinated, because German is the closest magic cards will ever get to Norwegian (my mother tongue). Some words are written just the same - example: Angel of Serenity is Engel der Reinheit in German, and that would be translated into Renhetens engel in Norwegian. 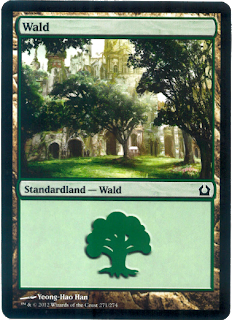 Here are pictures of the five kinds basic lands from Return to Ravnica in German: Ebene, Insel, Sumpf, Gebirge and Wald. Click them for bigger size pictures. When scanning these cards I used 300dpi and the TIFF-file format, as it's better for editing than PDF. The cards are a bit brighter than I would like, so I edited light and contrast. There are some bright spots here and there, they are products of a dirt on the glass plate. Next time I will rinse with soap, NEXT TIME. Jassmonsteret is a Norwegian word that means the Jazz Monster. I'm from Norway, and whenever I dabble in jazz music, it has destructive effects on both me and the music, that's why my name is Jassmonsteret. Aaaand I have another blog where I write about "jass", like twice a year.